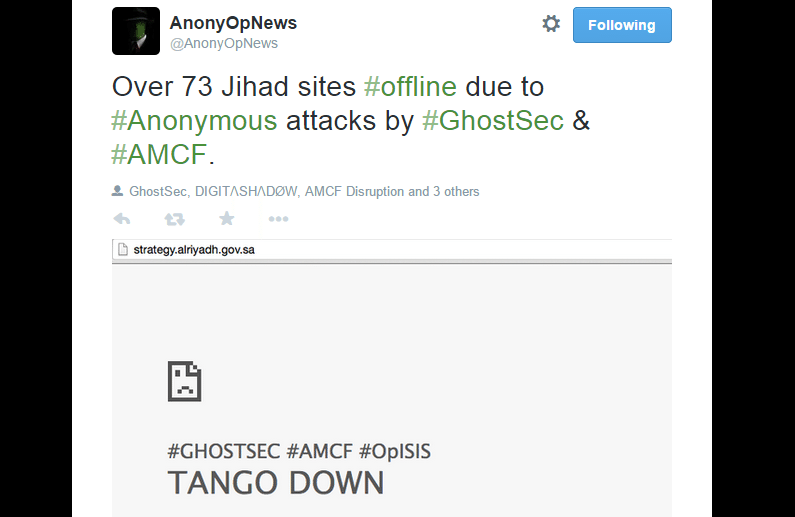 Anonymous The Hacker Group is targeting the jihadists website and trying to hack them, take them down and trying their every tactics to ruin the websites related to the jihadists. As Anonymous trying from days and they have success in their motive: More then 200 Twitter accounts have already been hit by the campaign, together with dozens of Facebook pages displaying jihadist slogans. This Operation dubbed #OpCharlieHebdo is still working on their motive, and Anonymous hackers from all over the world are trying to hack the websites under the operation. At Last Anonymous says its line: WE ARE ANONYMOUS. WE DON’T FORGIVE. WE DON’T FORGET. We can not fall to the ground. It is our duty to react,” Anonymous said in a statement announcing the campaign. “We, Anonymous around the world, have decided to declare war on you the terrorists. Anonymous warned the government after Turkey blocked access to media outlets that published pictures of the front cover of the latest issue of Charlie Hebdo. 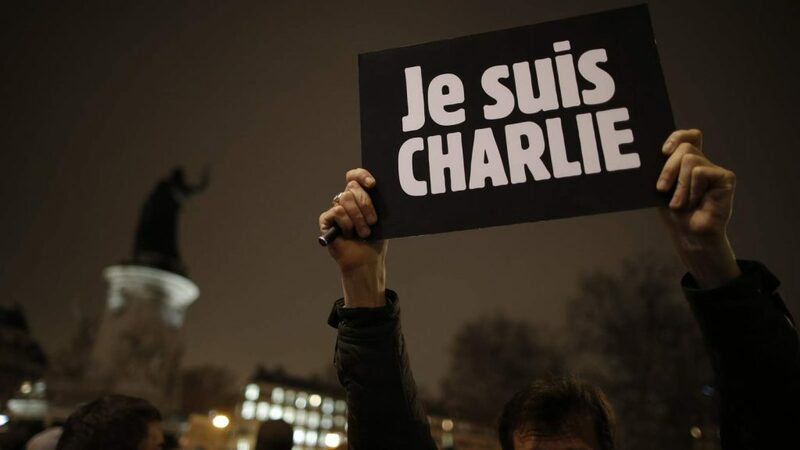 In the front cover of the magazine Charlie Hebdo there is a description of the Prophet Mohamed holding a sign that reads “Je Suis Charlie”, and this is the same slogan which has been popularised in the wake of the Paris Attacks.